Some of the entries from our guest book at Westraak. Graham, thank you for a fabulous introduction to this wonderful island’. We were in Orkney for 8 days. We had come to see whether there was any way we could understand even the remotest "smidgen" of Orcadian life. And for that we really needed to be exposed to not only the people themselves but also some of their perspective. That is what you helped us with - in spades! It's easy for visitors to see the individual sites. It was putting it all together for us that we really must thank you for. You let us feel that we had been given a window into your world. We feel very privileged. As I say – “privileged”! The tour was fabulous. Graham was clearly knowledgeable about the Islands history and other points of interest. I would also like to thank him for the puffin spotting trip which he took me upon, his knowledge of Birds and their instincts was fantastic. The tour and the puffin spotting trip really made my trip and I would highly recommend Westraak to anyone. I am highly appreciative of the services I received. Once again I would like to thank Graham for the tour and I can not express how wonderful it all was. WOW! !, what a tour you put on! We certainly got to see everything we wanted to. plus so much more. Very many thanks again for a magical evening yesterday - ambition fulfilled! It was made even better by being able to learn so much about puffins from you and the midsummer sunset was the icing on the cake. Just a line to thank you for the tour and lunch. I enjoyed the day enormously. Your knowledge of every aspect of Westray's life is awesome. This was my first visit to the Orkneys, but it won't be the last. Indeed, I'm already planning next year's trip! Hello Graham, here we are back home in Buenos Aires after a beautiful trip with so many nice memories. No doubt one of our best memories of this trip will be that of Westray! 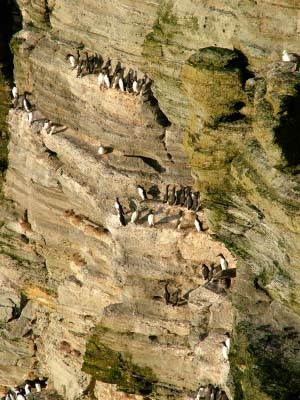 In fact, the photos of Westray are the best of our whole trip! What a fantastic day we have all had! We’ve had a magic day and learnt so much. Special thanks for the yummy lunch too! One of the best Tours I’ve ever had. Thanks again. A great evening Puffin watching and a great days Tour of the island. Thank You. Thank you once again for a great day out with such a knowledgeable Guide - and a delicious lunch. Thanks for everything. Superb guiding. I am loving it here. We're Canadian documentary film-makers, and travel around the world for our projects. One of our absolutely best days was the Westraak day tour. Why? Because of Graham and Kathy's warm welcome and Kathy's wonderful cooking (best Scotch broth we've ever tasted)... but particularly because of Graham's knowledge and love of the island. Travel shouldn't just be about ticking off scenery. We think travel means learning about history and culture ... getting beneath the surface of a place. And that's exactly what Graham so easily imparts. The day was relaxed, interesting, fun and we'll do it again next time we're back... except we'll stay longer. Stunning views, delicious food and lovely tour - we would recommend it. Wonderful day, very informative and interesting, thank you. Absolutely fantastic, best day in Scotland. A wonderful day of archaeology, history, culture, scenery, fun and a great lunch. Graham is a guide beyond compare. Westray has everything that counts. Here I am again. Thanks for another great day out. Awesome fantastic, Thank you a million. I will be back. Our day on Westray was the highlight of our visit to Orkney and wee are very grateful to you for making it so interesting and enjoyable. Thank you both for the excellent service you provided during our recent visit to Westray, tracing the roots of my ancient Mother. We both greatly enjoyed Graham's relaxed, informative and extremely interesting approach. We also greatly appreciated Kathy's magnificent lunch! Thank you for making a memorable visit even more special. We shall return. Superb, very accommodating, wealth of knowledge and willing to share. 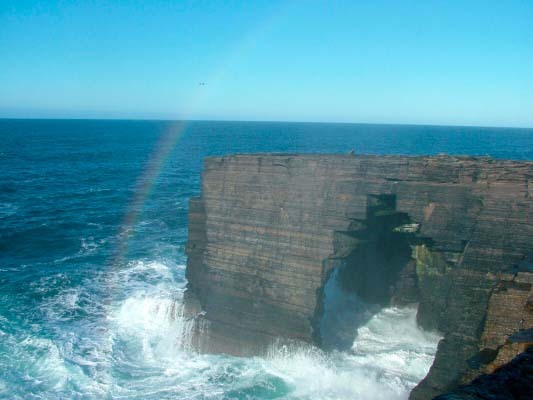 An encyclopaedia of knowledge of this Orkney island. Delightful, helpful and best of all - a handsome devil!.